County Fair features favorite Denyse Schmidt prints in sunny new colors printed on 54"-wide, home decorative- weight cotton canvas. Charming, vintage-inspired patterns and hues evoke blue-ribbon pies, parlour dances, and fiddle music on the porch. 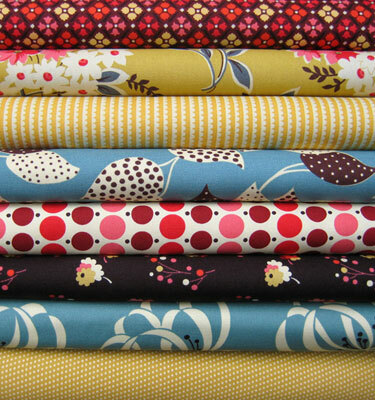 Designed to mix and match, County Fair is perfect for all your quilting, home decorating, accessory, and apparel projects. County Fair includes a bonus print called Patchwork Promenade with six unique "pieced" 18-inch square blocks, ready for quilting and stitching! A modern revival of the "cheater print" for today's time-stressed makers. Leave it to Denyse to turn a fresh eye to a fun, time-saving idea!